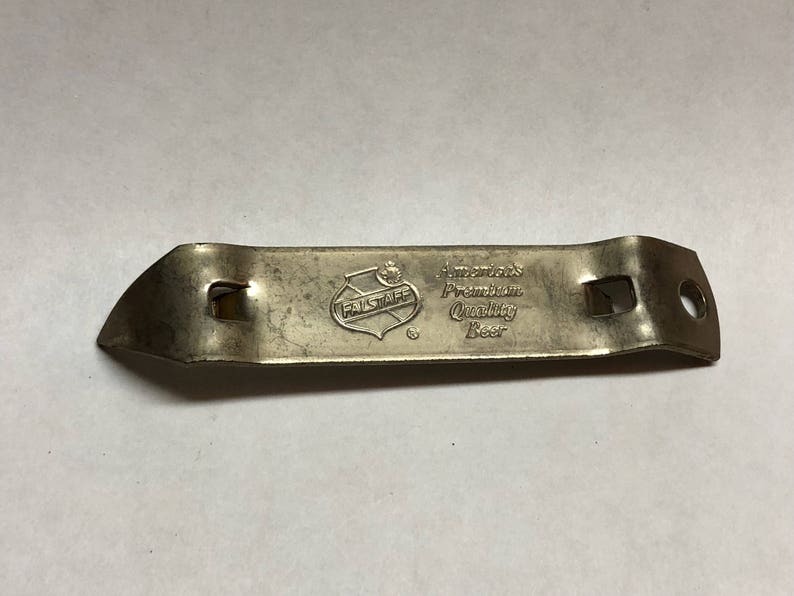 Vintage Falstaff Can and Bottle opener.. used in a bar, opening the cans and bottles of hard working men after work! 4" long and very light rusting, this piece will please the most discriminating of collectors. Great gift idea!